Posted on Tuesday March 26th, 2019 at 02:47 PM. Cellbond were pleased to support Thatcham Research last week by supplying a Frontal Offset deformable barrier for use in a live crash test featured on the BBC programme, Crimewatch Roadshow. 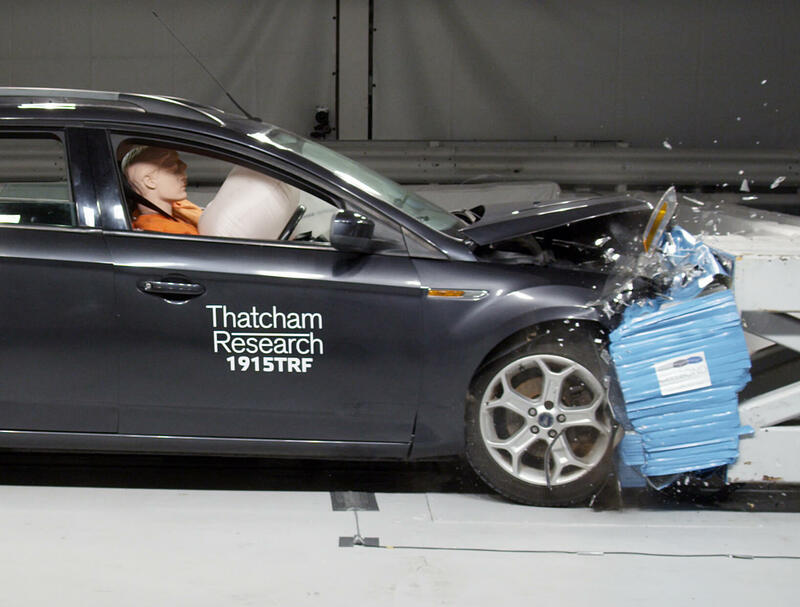 The programme was broadcast from Thatcham Research’s Euro NCAP accredited crash testing centre, and included reports on car crime, security, and safety. The impact test, which was run at 45mph, dramatically illustrated the dangers of not wearing a seatbelt. According to the Department for Transport, the proportion of car occupants killed from 2013-2016 who were not wearing seatbelts remained consistently above 20%. Cellbond is a division of Encocam Limited, a company registered in England and Wales with company number 01944904. Registered Office: 5 Stukeley Business Centre, Blackstone Road, Huntingdon, United Kingdom PE29 6EF.